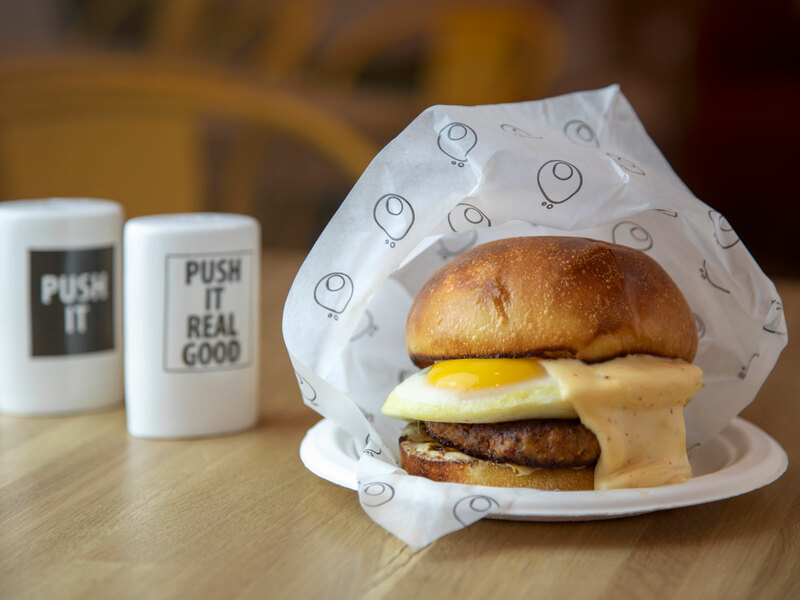 Laid Fresh, which opens this April in Miami's Wynwood Arts District, is chef Michael Lewis' new all-day restaurant concept featuring brunch sandwiches and housemade pastries. Restaurateur Steven Haigh and chef Michael Lewis, who run the 2017 James Beard Award-nominated restaurant, KYU, don’t have much time to relax. They feel like they're in a constant state of information overload, tending to emails, unanswered text messages, and missed phone calls, all while running one of Miami’s most popular restaurants, which serves Lewis’ rendition of Asian-American barbecue to hundreds of customers every evening. “There’s all this pressure to deliver and no time for yourself,” Haigh says. “Many of us wake up and get straight to work, with little or no break. I’m not sure if it’s even living." Haigh, born in a small coastal town in Scotland, has spent more than 20 years in fast-paced environments, working and managing restaurants, among them Zuma. Lewis followed a similar trajectory, training under the likes of David Bouley and Jean-Georges Vongerichten and traveling the world, from Europe to Asia. After opening KYU together in 2016, Haigh and Lewis are ready to debut their second restaurant — but this time, the concept will stray drastically from how they’ve spent the last couple of decades. In April, Laid Fresh will open a couple blocks from KYU in Miami’s Wynwood Arts District. The restaurant is set up as fast casual, but there’s nothing fast about the place –– in the best way possible. Brioche rolls and bacon will be made on-site, while customers fiddle with adult Legos, listen to music from hanging headphones, and wolf down egg sandwiches. As mimosas are poured into coffee mugs, Lewis will serve a lineup of all-day brunch sandwiches divided between “the usual” and “the fancy.” Basic items range from the fried egg stuffed with sausage and cheese sauce, to the fried chicken with pickles and slaw, and the cured bacon with egg, lettuce, and tomato. Take it up a notch with the fried egg with mozzarella, avocado, cheese, and chili, or the egg with hollandaise, crispy herb potato, and bacon marmalade. 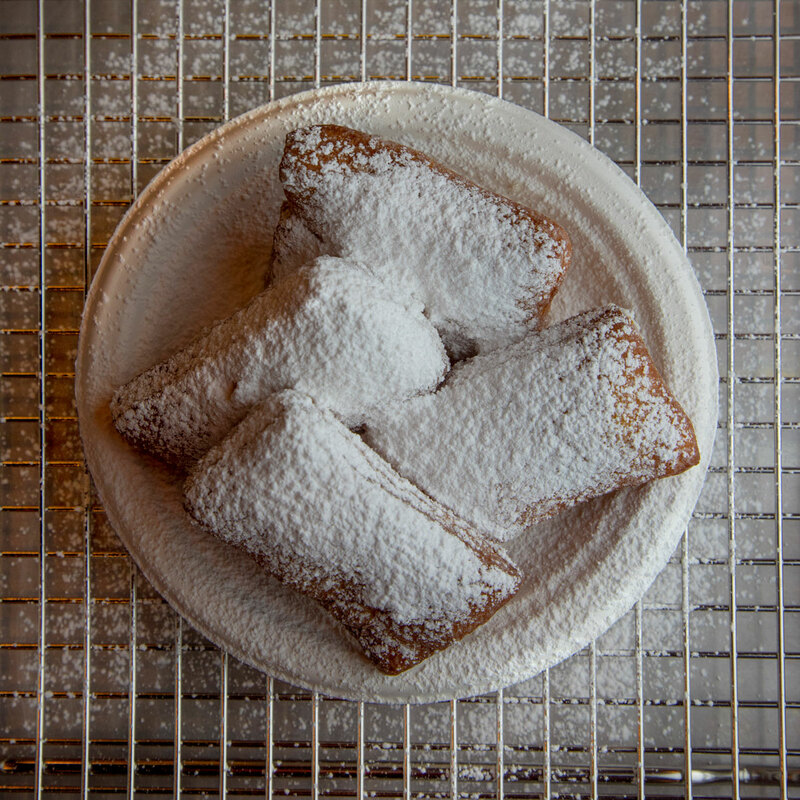 The menu also includes fresh-baked beignets and a couple sides, including bacon and sausage. Most items on the menu incorporate something local, be it an egg from Lake Meadow Farms in Orlando or produce from Harpke Farm in Fort Lauderdale. Otherwise, Lewis and his team make everything else in-house, from blending sauces, to curing bacon, and rolling dough. In terms of the space, Legos will be scattered from corner to corner to encourage diners to put down their phones, while headphones will hang from the ceiling, equipped with different rotating playlists of calming, meditative, and rock music. There will also be a communal table in the middle with lounge-style chairs and power outlets. Laid Fresh. 250 NW 24th St., Miami, 305-699-0601.